Description: A shorthand Object in a transition Object alters property-specific transition values through a target property key whose List value corresponds to specific option values. Description: Multiple target properties can be defined in the shorthand Object regardless of whether the property exists in the immediate scope. Description: The shorthand Object inherits values from the option Object. Description: The default keyword can be used as a shorthand List value to inherit the default option value. Description: If a shortand target property value is false, the property is omitted from the transition properties. 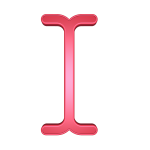 Description: A shorthand Object can be used to generate transition properties without raw CSS properties.